SAMMS is looking for MSc and PhD students. 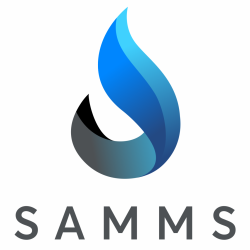 SAMMS (Sub-Arctic Metal Mobility Study) seeks multiple graduate students (MSc and/or PhD) to research the presence and fate of mining related metals in the Northwest Territories, Canada, and to develop predictions of the fate and toxicity of these metals under climate change regimes. Successful applicants will work in a co-supervised environment. SAMMS is led by Prof. Brent Wolfe and Prof. Jason Venkiteswaran (Wilfrid Laurier University, Waterloo, Canada). See below for the complete research team. Opportunities to work at multiple universities are available and encouraged. Start dates: January 1, 2018, May 1, 2018, and September 1, 2018. The legacy of metal pollution from mining in the Northwest Territories, Canada, extends beyond the immediate mining sites due to atmospheric emissions and subsequent deposition and transport. However, its extent is poorly known. The fate and toxicity of these mining-source metals depends strongly on their transport via dissolved organic matter (DOM). Climate change, especially in subarctic regions where substantial organic matter has accumulated over time, will accelerate both rates of organic matter decomposition and consequently the mass and chemistry of DOM entering freshwater systems during the next few decades. These changes have important implications for surface water quality with respect to long-term ecosystem health and human consumption of drinking water. Field campaigns will focus on catchments and lakes near Yellowknife, Northwest Territories, and include laboratory experiments and modelling approaches to evaluate the stores of metals in catchments, wetlands, and lake sediments as a baseline to understand the future fate and toxicity of metals under permafrost thaw and climate change regimes. (6) climate change effects including permafrost thaw. Graduate students will benefit from working with a multi-university and multidisciplinary research team and will interact with partner organizations and Indigenous communities. Students will perform applied lab and field research, and require quantitative abilities, a hearty appetite for northern field work, and possess strong verbal and writing skills. To Prof. Jason Venkiteswaran, jvenkiteswaran@wlu.ca. SAMMS is funded by the Global Water Futures program. Download PDF of the advertisement.